10 October. The Colonial Secretary provides the details of the Malayan Union plan to the House of Commons. 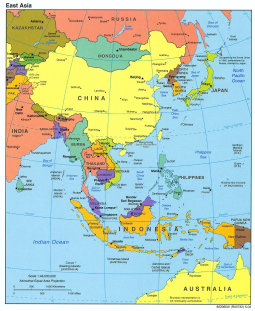 The Union would include the nine states of the Malay Peninsula (including Penang and Malacca), while Singapore would be kept as a special colony ‘owing to its special needs’. 12 October. 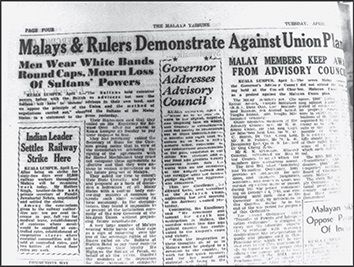 Malayan newspapers publish news of the imminent announcement of the introduction of the Malayan Union. After this happens on October 15, Malay activists begin to worry what the Malayan Union’s liberal citizenship policy might mean for the rights of the ‘native inhabitants’ of Malaya. 16 October. Two months after the Japanese surrender, Australian troops and Dutch officials at long last enter Pontianak. The largely Chinese population greets them with not a single Dutch tricolour but many Chinese flags. The Japanese massacre of the local elite in early 1944 means that NICA has few allies to help them re-establish Dutch rule. 18 October. Sir Harold MacMichael, a special representative from the British government tasked with obtaining approval for the introduction of the Malayan Union from local rulers, meets with the first leader on his itinerary, the Sultan of Johor. The Malay public would later take special issue with MacMichael’s reportedly high-handed attitude toward the Sultans. 6 November. Early in the morning, a group of Malays kill 40 Chinese men, women and children at this small settlement outside of Kuala Pilah, Negri Sembilan. Seventeen are later arrested in connection to the massacre. This is only the most horrific episode of inter-ethnic violence in the region, which had been escalating throughout October and November. MPAJA and BMA troops are posted to the region to protect civilians. The Malayan Communist Party also decides to moderate its approach toward Malays. 29 October. Militant youth attack Dutch positions in Makassar and seize control of a radio station. They are then driven off by Australian troops, who kill some and arrest others. 7 November. 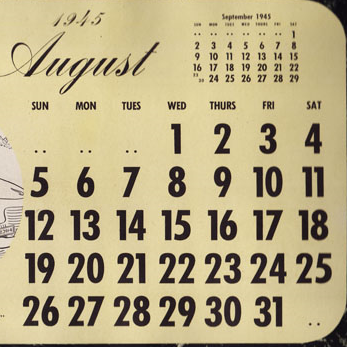 The Malayan Communist Party issues a statement calling on the British Military Administration to introduce self-rule, something it had not called for in August. The party further requests that the BMA loosen restrictions on speech and assembly and that it increase wages.